The whole idea of the Best Binocular Reviews website is to help you to find the best optics for you and your particular needs. Choice is ultimately a good thing, but it can at times become confusing and as the amount of quality binoculars that I review increases, it can in a way make it harder to identify the great from the very good. Over the past twelve months I have tested and reviewed many binoculars. of these there are some that really stood out from the crowd in a particular area or niche and as such, I feel that they deserve to be highlighted and brought to your attention. For 2018 I decided to change things a little and award the best binoculars at the start, rather than at the end of the year. I often receive a large amount of binoculars to review at the last minute, right before Christmas, so these often miss out on a chance of winning. A number of readers have mentioned that my site and the awards look as if they are a year behind (for example: I was highlighting the best binoculars of 2016 when it was say October 2017). So with this in mind, the winners of BBR's Best Binoculars 2018 were announced in January. Having conducted more tests and reviews on more brands than ever before, 2015 has been a really busy year for me. This has meant that I have used a wider selection of great and some not so great bins than ever which is great. However this has also meant that the awards had to be delayed a little until all the reviews were completed. The editors choices for the best astronomy binoculars for 2015 have been published. The winners of the Best Binocular Reviews Annual Binocular Awards have just been announced. To take a look at the very best binoculars that I had the joy of testing this year take click here: 2014 BBR Awards. 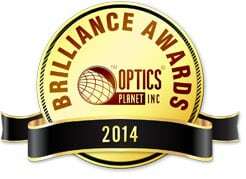 Voted for by the public as well as industry experts, Optics planet have revealed the winners of their Brilliance awards for 2014. These awards cover a whole host of products like rifle scopes, trail cameras, gun accessories, night vision, as well as binoculars. I announced this years winners of the Best Binocular Reviews Annual Binocular Awards a little later than usual as I had a few more binoculars that I had to review a little later on than usual and want to make sure that they were also given the chace to win. To see who did win in a range of categories: 2013 BBR Awards. 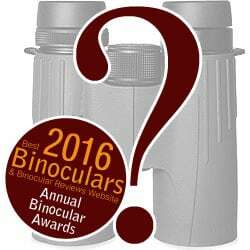 The winners of this years Binoculars.com Binocular of the Year Awards have just been announced. 2013 Binoculars.com Binocular of the Year Awards. 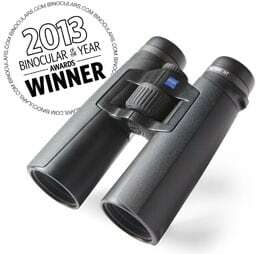 21/09/2012 - This years winners of the Best Binocular Reviews Annual Binocular Awards have just been announced. Take a look at the very best binoculars that I reviewed this year: 2012 Best Binocular Reviews Awards. 24/07/2012 - One of the most respected authorities on all things to do with birding, Bird Watcher's Digest recently rated and ranked some of the best Premium 8x42 Binoculars. 05/06/2012 - The winners of the Binoculars.com Binocular of the Year Awards have just been announced. Take a look at their choices of the best binoculars in a range of categories: 2012 Binoculars.com Binocular of the Year Awards. 06/10/2011 - This years winners of the Best Binocular Reviews Annual Binocular Awards have just been announced. Take a look at the very best binoculars that I reviewed this year: 2011 Best Binocular Reviews Awards. This years awards are going to be more comprehensive than ever with far more categories and contenders. 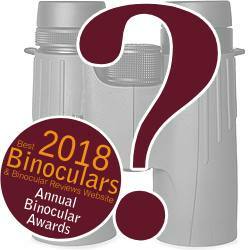 But unlike the awards on Binoculars.com that come out early in the year, the winners of the annual awards on this website get chosen towards the end of the year. I do this to ensure that I have had enough time to personally review as many pairs of optics as possible. I hope to have this years winners announced at the end of November 2011. To be eligible for an award, I have to have personally reviewed the binocular and just like all my reviews, the awards are in no way influenced by any manufacturer. They are purely based on my experience with the binocular during the review. These awards are also not just handed out to any binocular - for them to win an award, the binocular has to have really impressed me in that particular category. In this way you can be sure that the binoculars that win an award in a particular category are really excellent in that field. 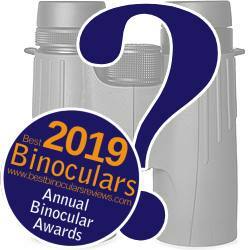 If you have a binocular that you think has what it takes to win an award that I have not yet reviewed, please Contact Me as soon as possible so that we can arrange to have it reviewed.